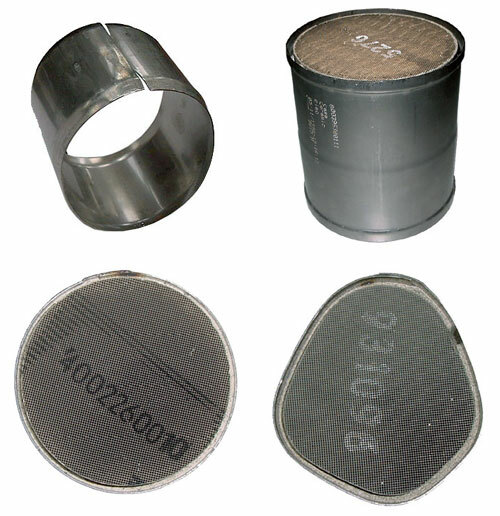 The wrapped substrate (monolith+math) is soft stuffed into a large canning and then it is compressed through a shrinking down process according to the previous data coming from monolith measurements and mat weight. 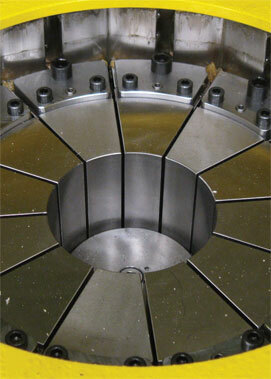 After shrinking process, the GBD measurement and engraving data for the traceability are carried out. 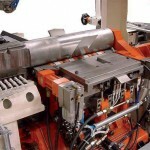 New advanced CNC machine for canning production according to the sizing down technology. 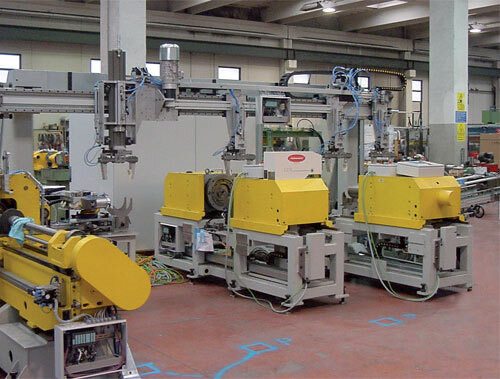 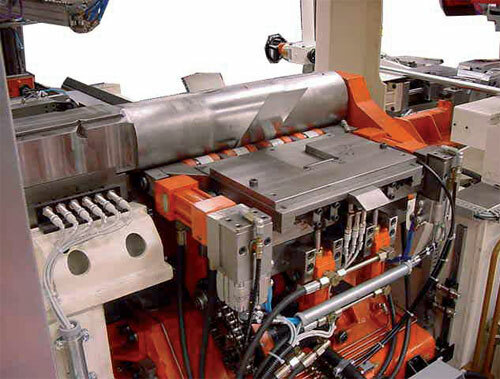 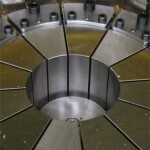 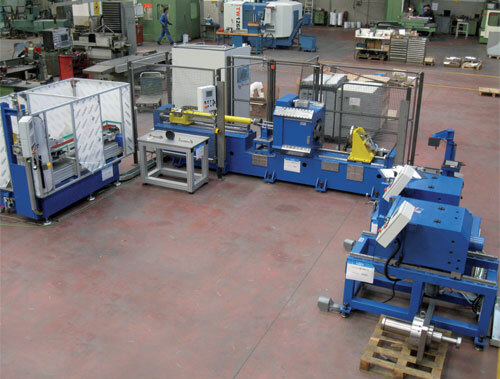 This machine is able to stuff the monolith and mat into the external canning, than it provides to shrink down the kata through 12 sectors and, if required, it is able to flange the edges in the same operation and with the same tooling. 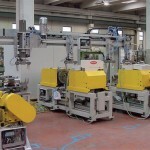 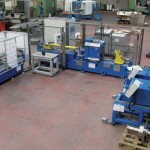 This machine is also available in horizontal configuration both manual and automatic.